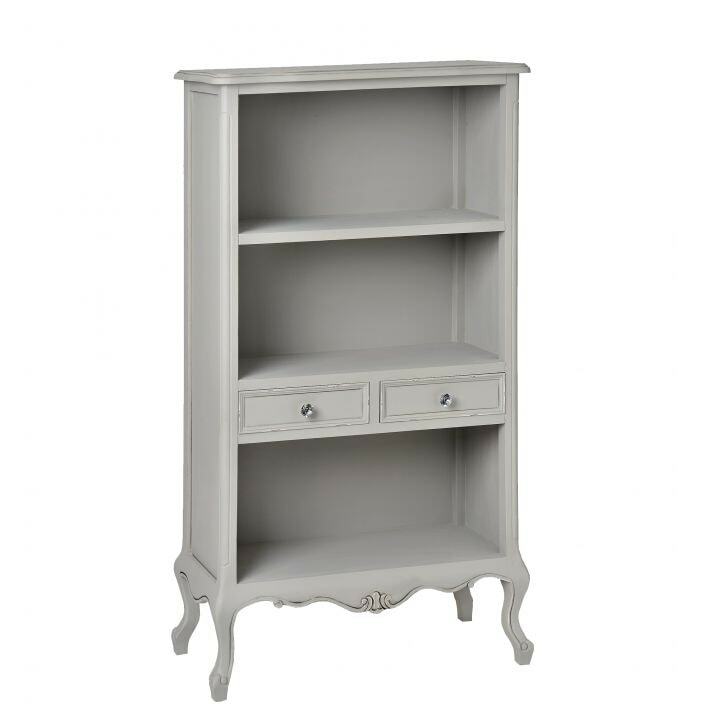 From the distinctive Fleur collection comes this beautiful shabby chic bookcase. Crafted from natural wood and finished in grey with two drawers placed at a convenient height. This stunning bookcase will impress in a variety of settings.